DonJoy is pleased to introduce the most cost effective functional ligament knee brace known as the DonJoy SE-4 Legend Knee Brace, with its patented 4-point dynamic leverage system technology.The SE 4-Point Legend has made a name for itself as a strong and low profile brace in the off-the-shelf market. The SE 4-Point provides the basic frame of the traditional legend at a fraction of the cost. 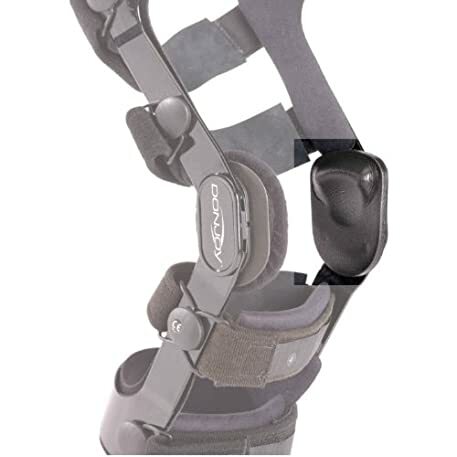 It is ideal for moderate to severe ACL, and/or PCL, MCL and LCL instabilities. The SE-4-Point is recommended for use in all contact sports. 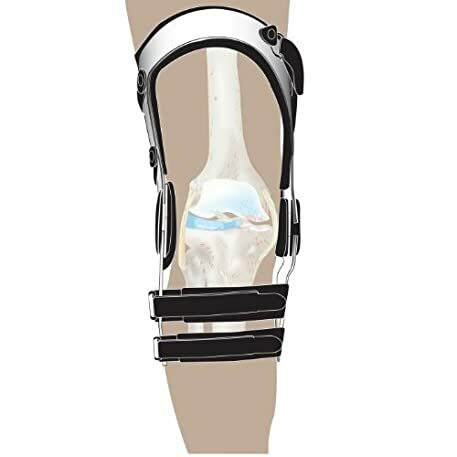 The brace features a non-chip outer covering which is also safe for salt and fresh water activities. ACL (shown), PCL and combined versions feature patented 4-point dynamic leverage system***. Low-profile design. 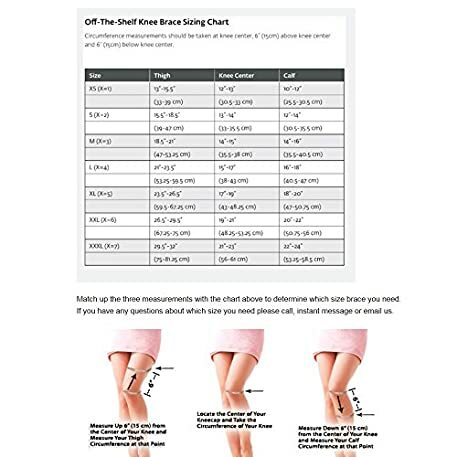 7 sizes (ranging from a 13″ to 32″ thigh). Pneumatic condyle pads for added comfort and fit. 10° extension stop installed. Sports cover, patella cup or undergarments available at extra charge. 6 month warranty on frame and hinge. Available only in black:. Indications – The SE 4-Point is indicated for moderate to severe ACL and/or PCL, MCL & LCL instabilities for active, sedentary and adolescent patients. Goals – Maximum activity. Delay surgery. Decrease anti-inflammatory medications. Decrease pain symptoms associated with ACL/PCL injuries. 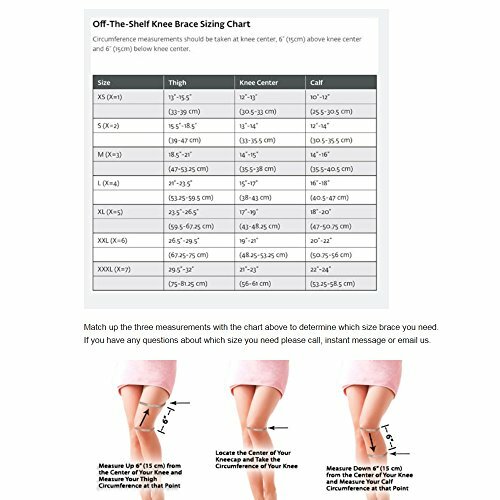 Improve Joint function. Ultimate protection. 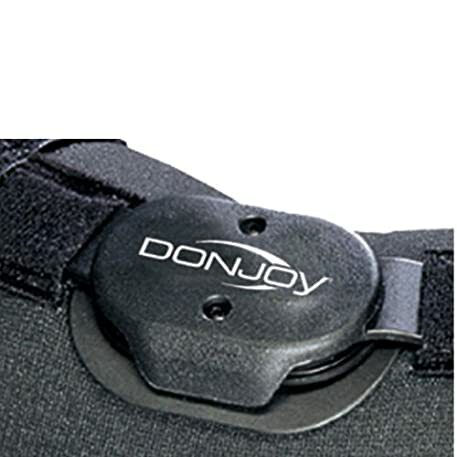 Read our Donjoy Legend Review for additional information on this product.